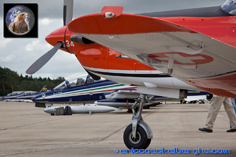 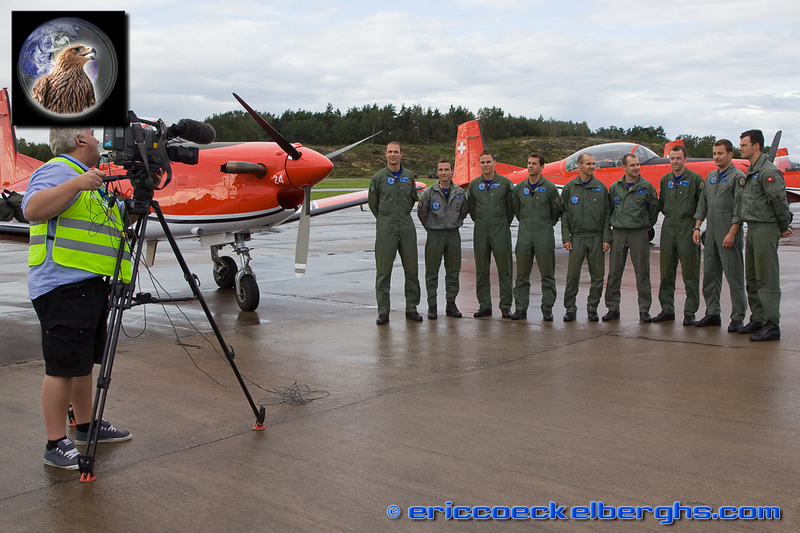 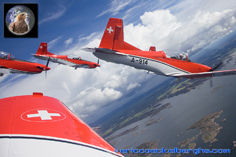 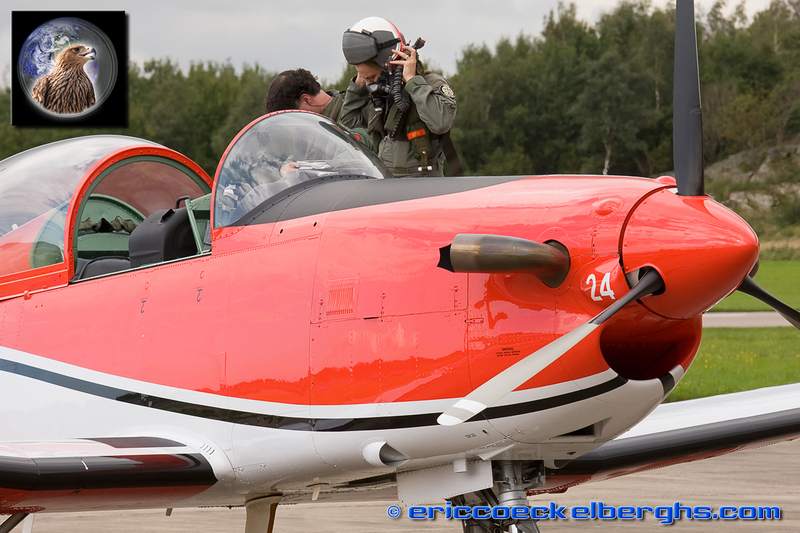 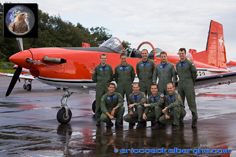 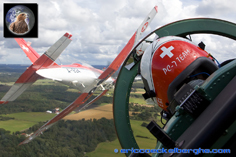 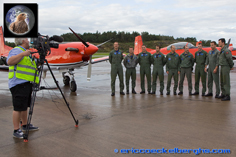 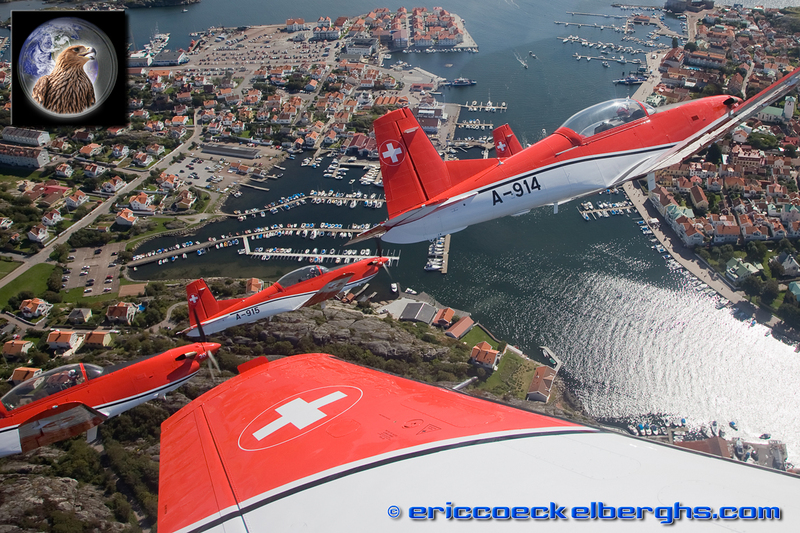 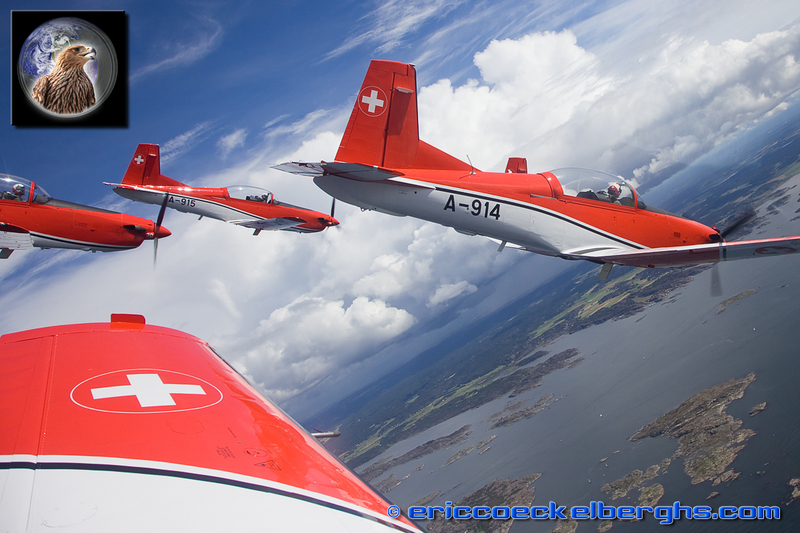 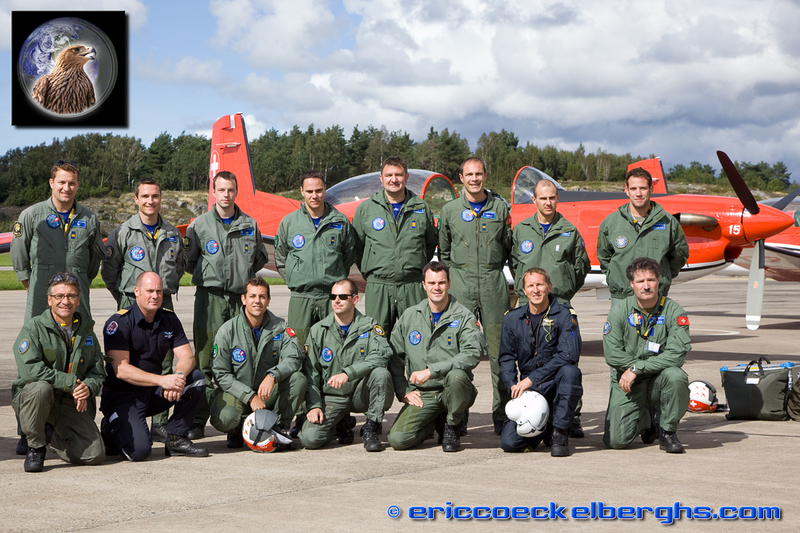 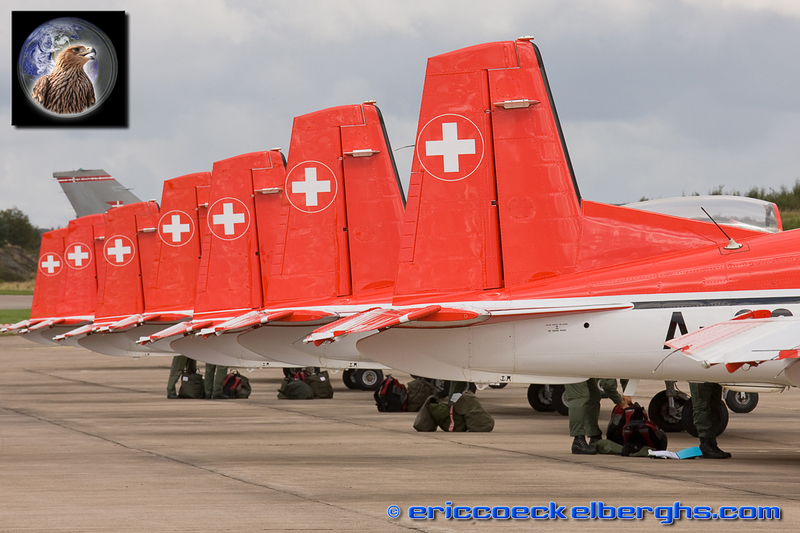 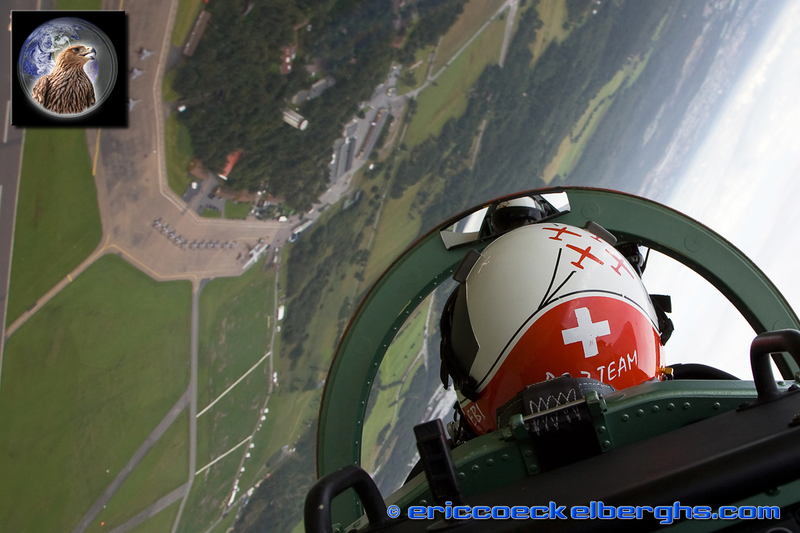 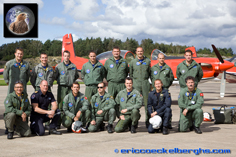 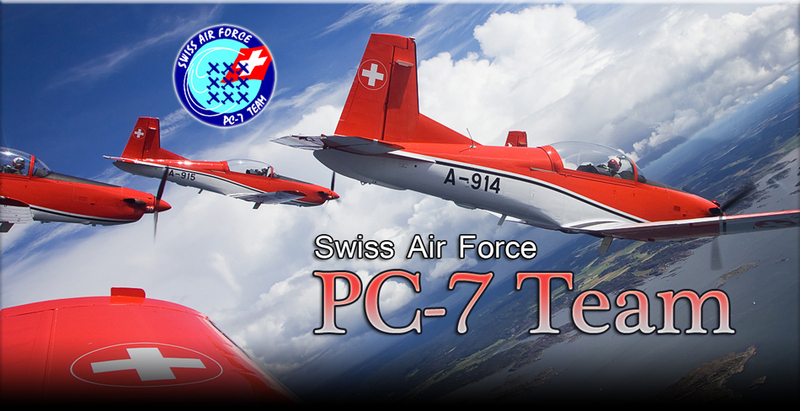 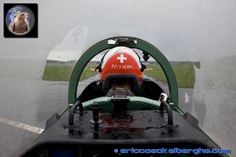 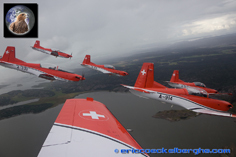 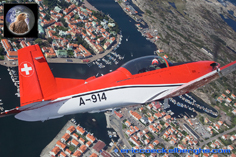 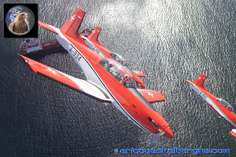 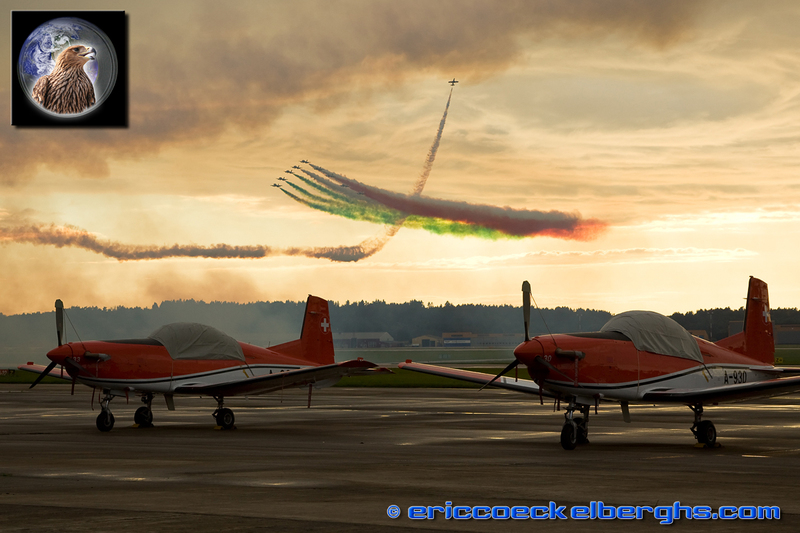 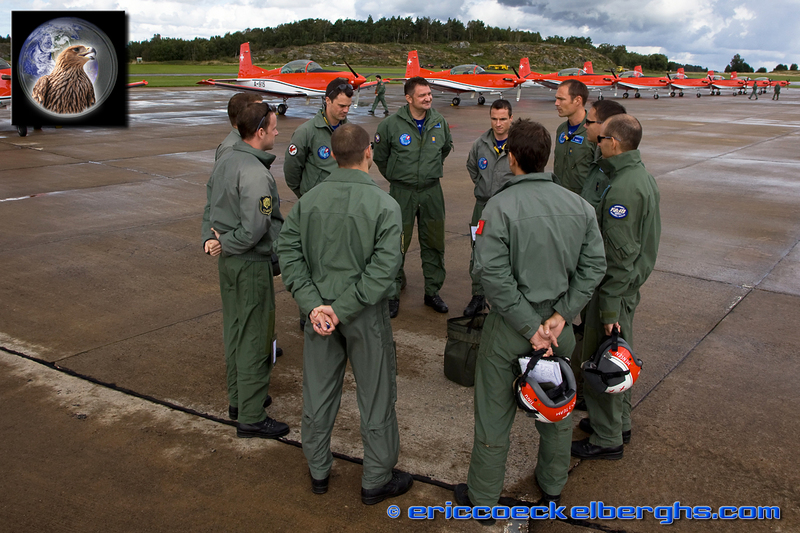 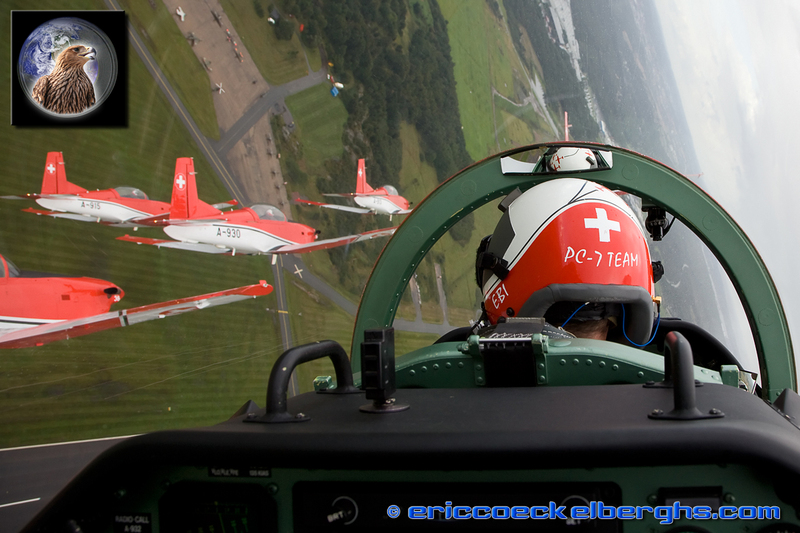 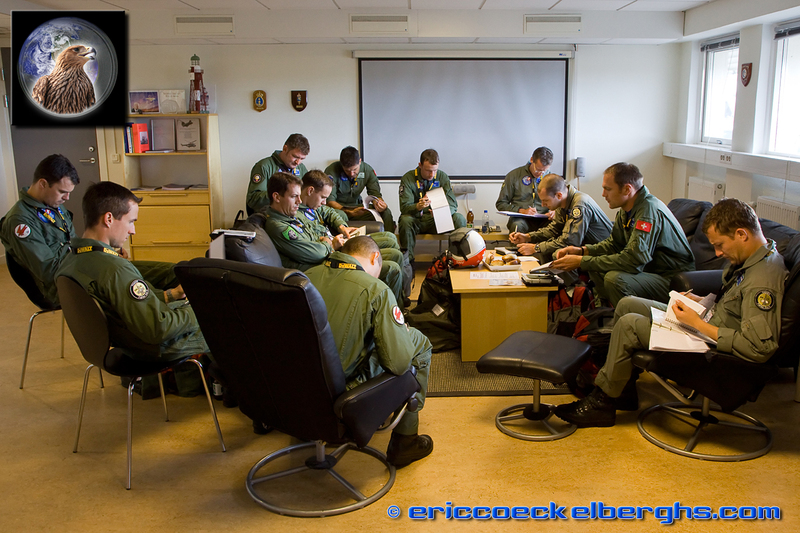 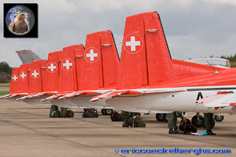 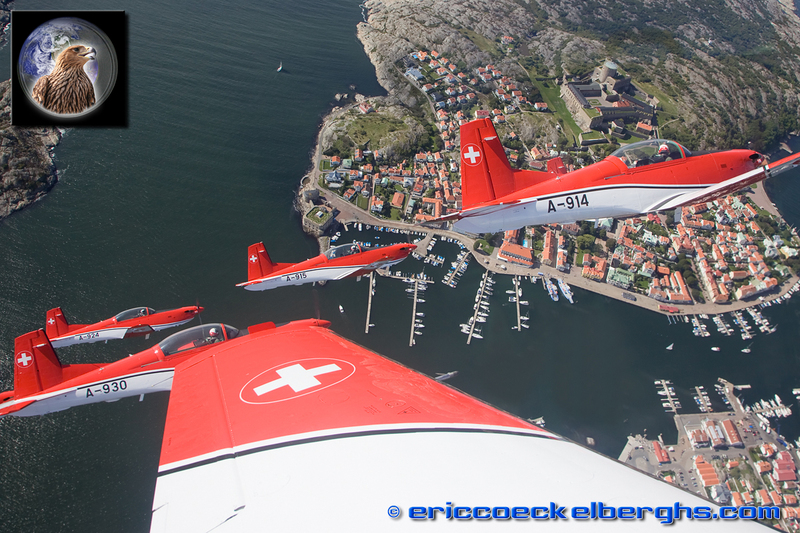 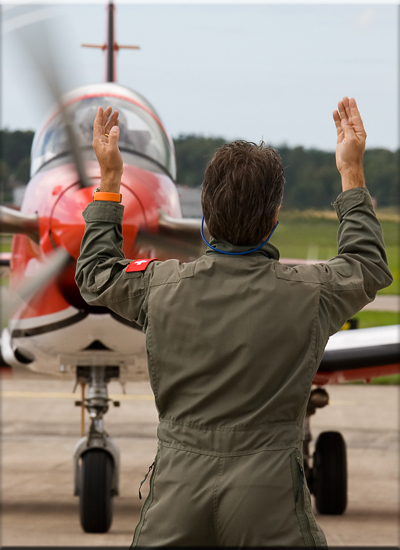 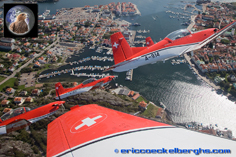 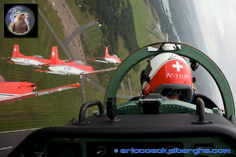 One of the few performances outside their country by the Swiss Air Force PC-7 Team took them to Sweden; the venue was the famous Göteborg Airshow. 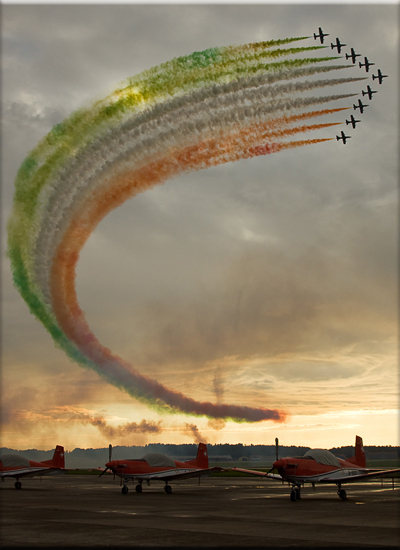 Next to the Frecce Tricolori, the team was the other big international headliner of the show. 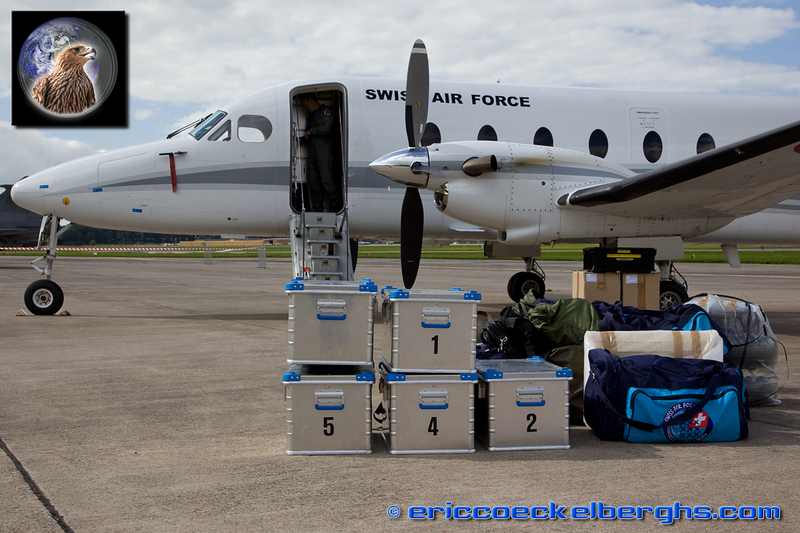 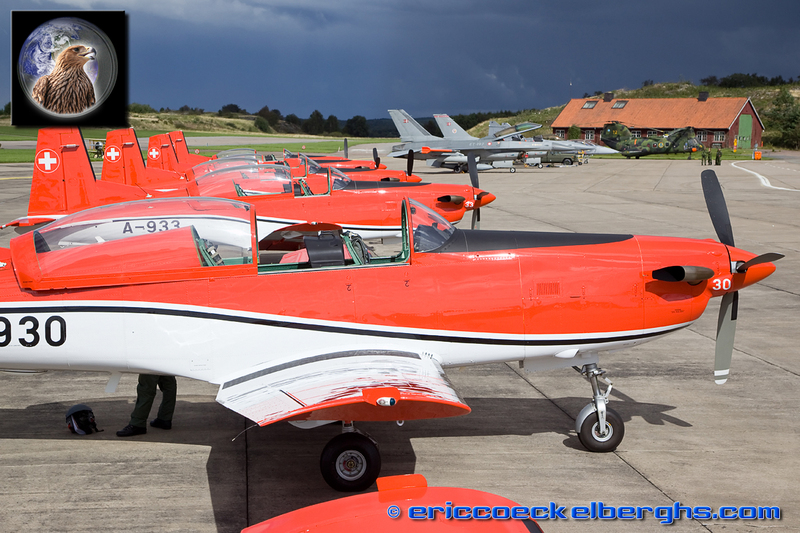 After a transitflight in dismal weather with a fuelstop in Germany, 9 PC-7's arrived safely at the airfield. 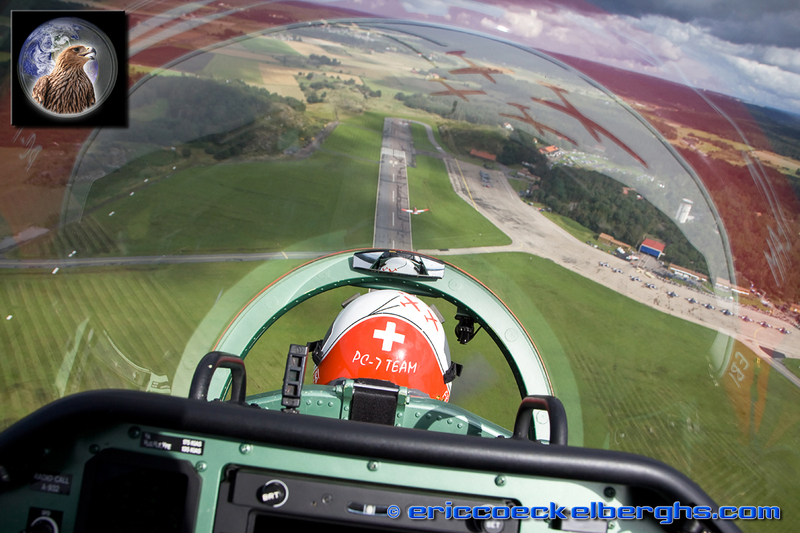 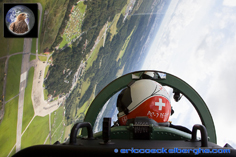 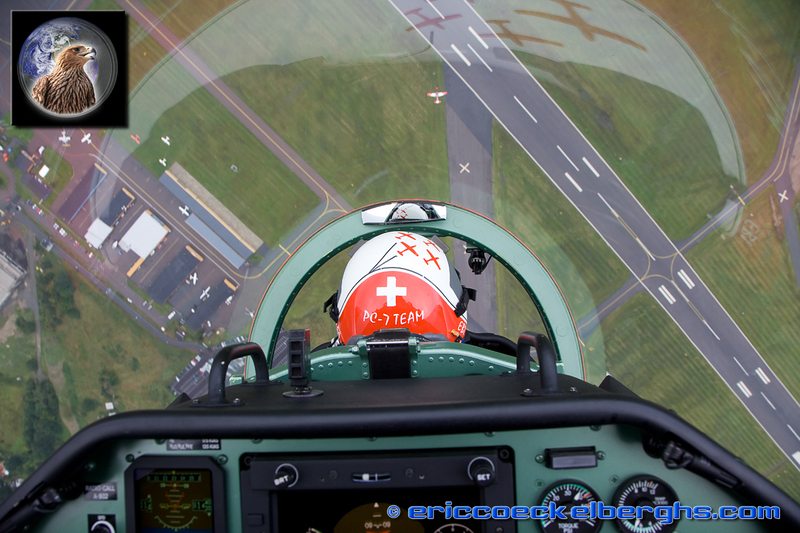 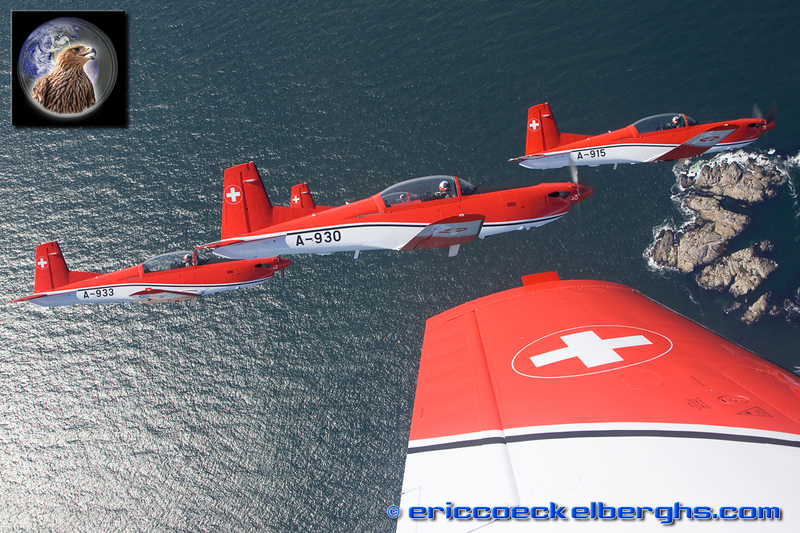 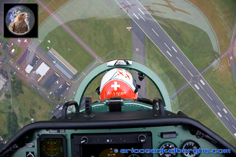 Friday was also rehearsal day, and I was fortunate enough to fly again with my Swiss friends. This time I flew in the backseat of 'Turbo 6', piloted with Hptm. 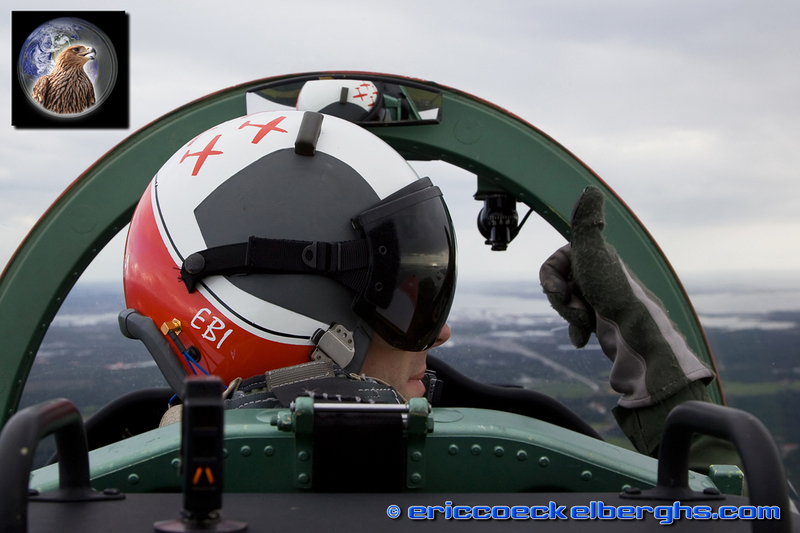 Marc Eberhart, 'Ebi' for the friends. 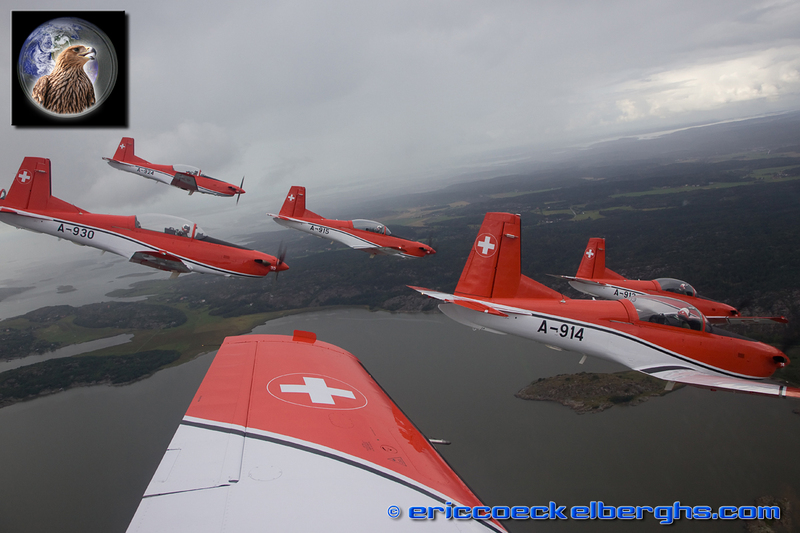 The weather was really challenging, actually we flew most of the validationflight in the rain... so no brilliant photos yet. The best pictures were made on the ground when suddenly the sun came out after all the rainclouds, perfect timing when the Frecce's did their rehearsal! 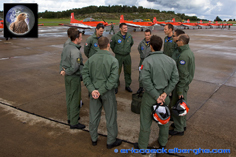 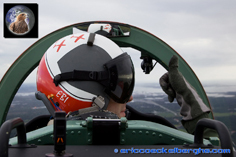 On Saturday I photographed the team from the airshowgrounds, you can see some of that photos in the Goteborg Airshow report. 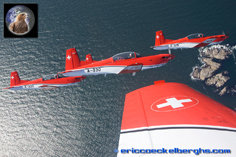 On Sunday I was privileged again to fly with 'Ebi' during the actual airshow performance. All flightchecks were performed along the beautifull coastline with all those georgous little islands as perfect backdrops... and most of all we had sun, yeah!! 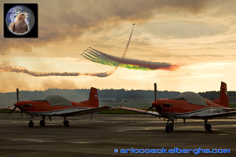 These were absolutely some of the very best backgrounds I had this year, what a difference to our Belgian... euh 'landscapes'. 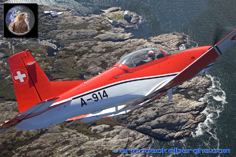 Flying with the PC-7 Team during the actual airshow was a fantastic thrill, and hopefully the photos reflect some of that excitement! 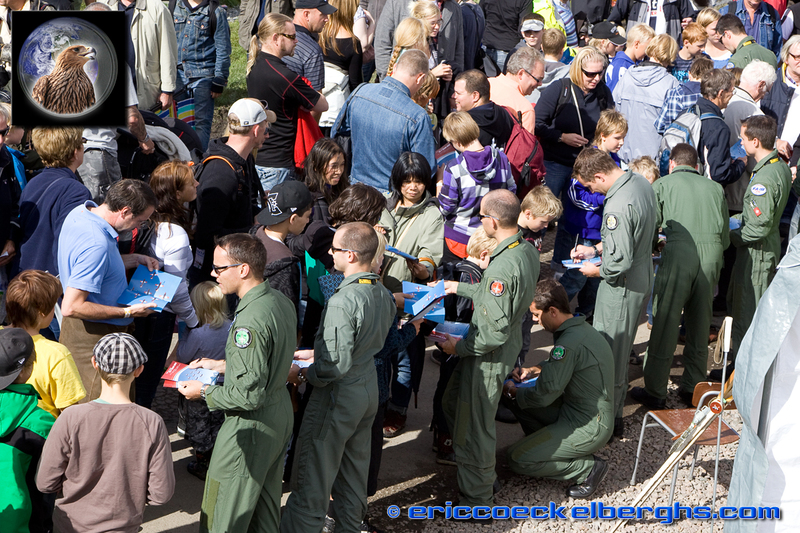 After the show all teammembers gathered in the “meet the pilots” tent to say hello and 'thank you' to a very enthousiastic Swedish public. 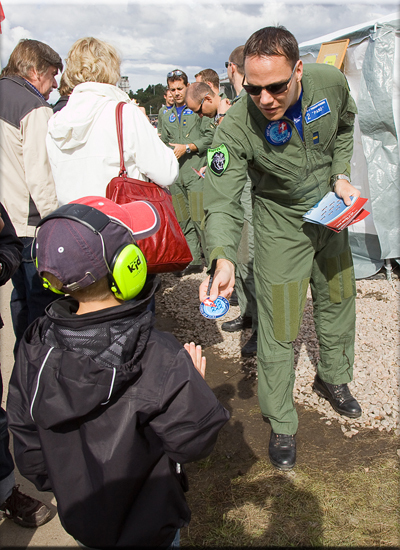 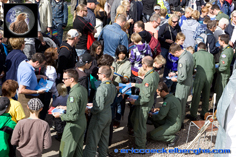 Many brochures and other merchandise were given out to the people, and of course many of them waited patiently in line to collect all the signatures of pilots and teammembers.